Restyling your home is something people think they have to buy tons of new stuff to bring a total new style in their home. Ofcourse, that would be the most awesome way to do so. 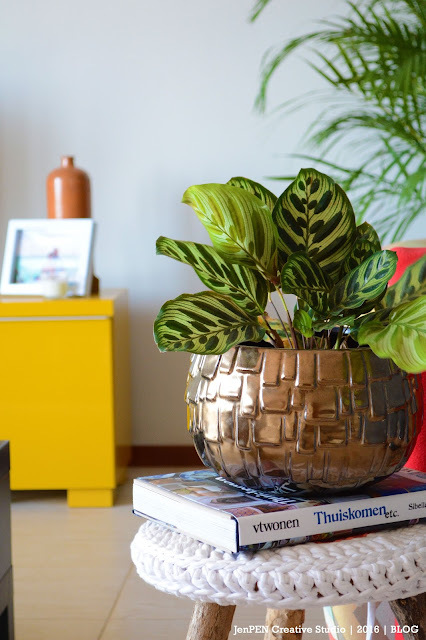 Who doesn't want to buy some new pieces to bring a new flair to the home? I always do. But on the real, that is not something that is always possible. But how can you add a fresh new look without buying new stuff? The first thing you must do is get rid of stuff that is just useless and in the way. Like do you really need another whatever you have to much of? Except ofcourse if it's part of an collection, then we are keeping it. The next step is to reuse something again for another purpose or maybe get a new look. See that armchair above? I got two of them from a friend years ago. I bought new fabric for a cheap price and re-upholster them for a very good price. And then comes the reorganizing of the rooms. 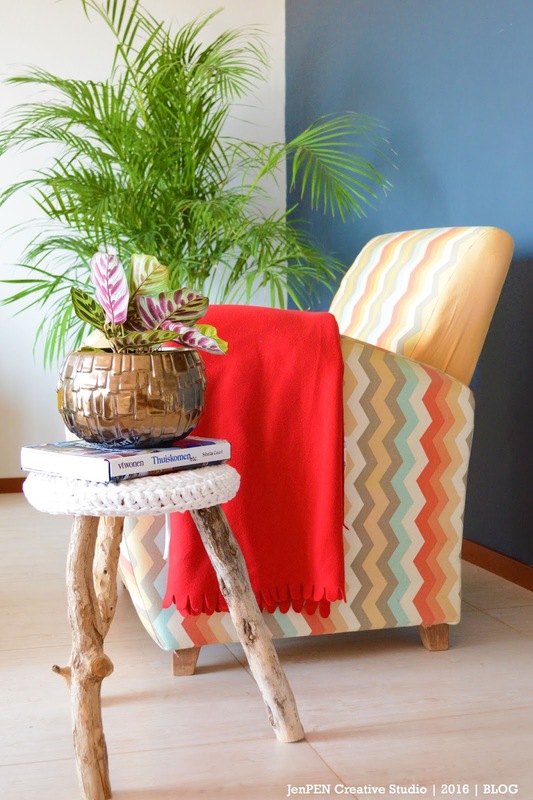 Maybe you have a chair or little side table that can go somewhere else to get a fresh look. Or you can create an little reading nook you never thought could be possible. Well, to close this fabulous week, I'm offering you my services to help you Re-Style your Home. This offer will only be available for the month of June and July for the price of OH MY GOD Nafl. 75,- . Seriously.....it's basically for free. I just love the idea of helping someone to get it together in their home and feel like their home is the greatest place ever. I'll walk through your house with you for 2.5 hours and we are going do some magic together. Trust me, in 2.5 hours lots can be done. So, don't hesitate. If interested just hit me an mail at jenpen@jenpencreativestudio.mygbiz.com and I'll pencil you in. What a generous offer. Your post actually inspired me to rearrange my bedroom. I'm quite bored with how it looked right now. Oh, I'm happy to hear that I inspired you to do so :) Have a lovely weekend.